Looking for some healthy meal ideas? We’ve got you covered! • Turkey roll-up – 3 oz. turkey deli meat, 1 oz light mozzarella cheese, 2 butter lettuce leaves, wrapped in a whole wheat tortilla. • One package Reduced Sugar Quaker Oatmeal Instant oatmeal, one apple cut in slices with 1 Tbsp peanut butter. • 4 oz. 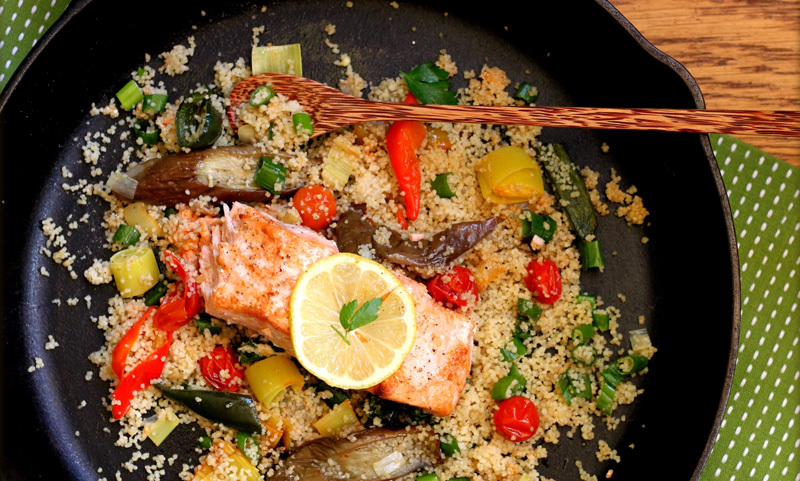 grilled salmon, ½ cup couscous, ½ cup grilled vegetables. • Lean deli chicken with 1 oz light cheese, lettuce, tomato, and mustard on a small whole wheat roll. • Combine tuna, Dijon mustard, and chopped cucumber in ½ whole wheat pita pocket. • Spread a whole wheat tortilla with ½ c. canned re-fried beans, 2 tbsp salsa, and ¼ cup reduced fat Monterey Jack cheese. Roll. Eat with ½ cup carrot slices. • Mix 1/3 cup of chickpeas, ½ can tuna, ¼ cup chopped celery, and 2 Tbsp reduced fat salad dressing. (Ranch or Italian) Eat with 4 Melba toast strips. • 3 oz grilled salmon (add dill and lemon), 3 baby potatoes (boiled) and ½ cup peas.